Having driven across to Patterdale (where we'd be staying for a few days) from Thirsk (Yorkshire) that morning we hadn't really prepared for the walk and so, in a way that is very unlike either of us, we set off with gaiters and walking boots on over jeans! Something which, in fact, I'd more than likely comment upon on seeing someone else on the mountains wearing them - they really are terrible in the wet but as we hadn't planned to walk to Place Fell we figured they'd do. Probably more daft was the lack of water that we had with us and the backup plan of supplementing the 200ml or so of water with two bottles of Corrs Light was only ok as we didn't need to use them! NB. I did have map & compass with me so not totally unprepared. 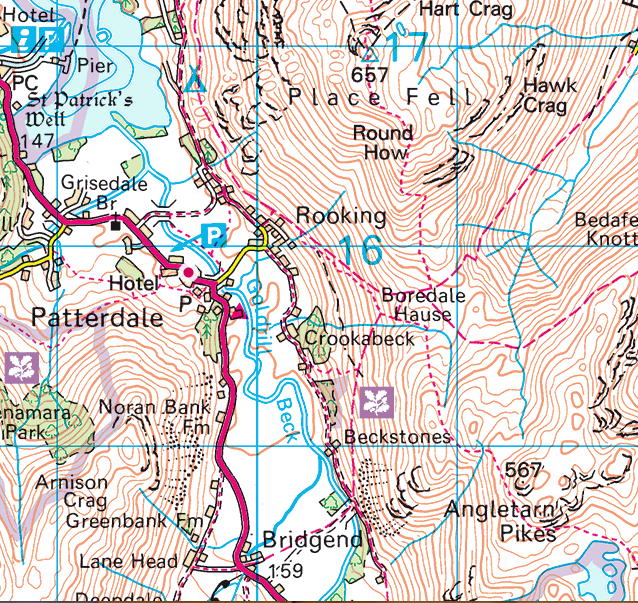 The route from the lay-by is easy going initially, through fields which were fairly boggy due to recent (and current) rain and then onto a well maintained track that leads you through the flanks of the fells falling away from Angletarn Pikes and up to Boredale Hause which is a junction of paths leading in a number of directions. 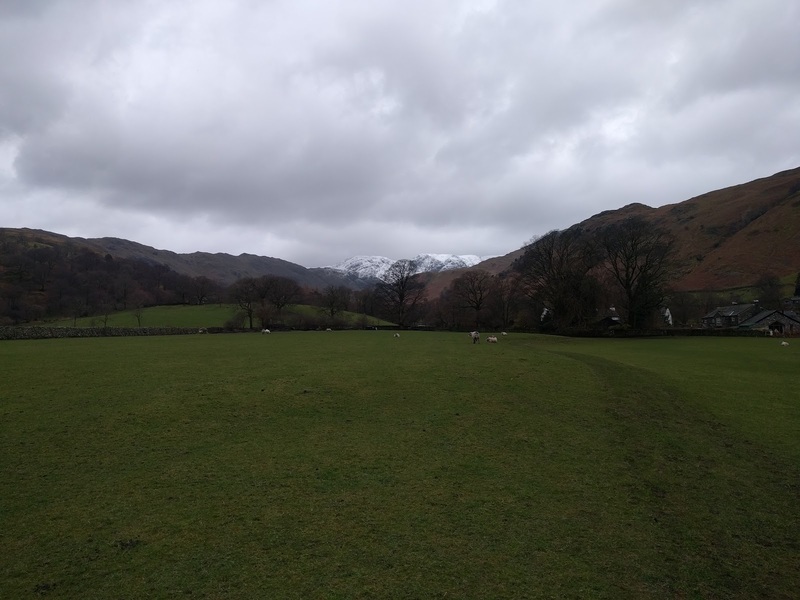 Today we opted to take the very well maintained northerly path towards Round How and then on to Place Fell. 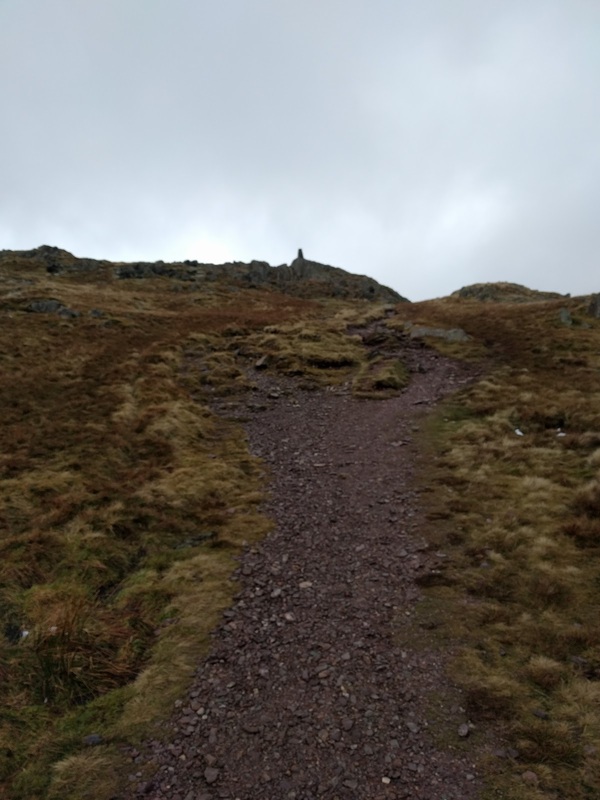 There are some steep bits of the path - notably the last few hundred meters up to Boredale Hause and then again the last hundred meters or so up to the top of Round How. 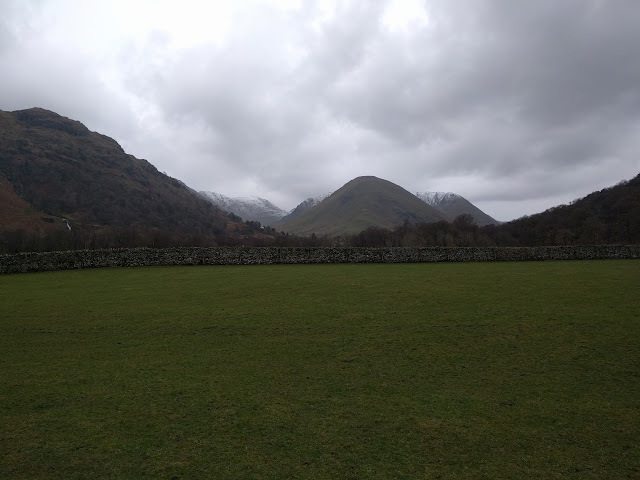 Aside from this the going is pretty steady and the very solid path makes things much easier even in the rain. 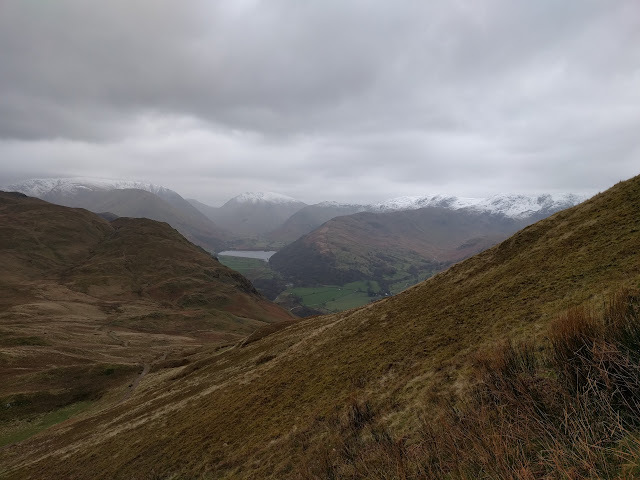 By the time we got to Round How the wind was blowing with a decent level of anger and whilst it wasn't quite making walking difficult it was driving the rain, and in some places snow, into our faces and giving my OMM Aether smock a decent test. The smock/jacket did really well - as it's full eVent I expected nothing less than a good performance but for something so lightweight (sub 200g) there is always that niggle in the back of your head that it'll not really be up to the task - but it was! From the slight scramble up to Round How the route is pretty much level to the summit to Place Fell and with only 30-40m or so of ascent between the two we made good time, there and back. 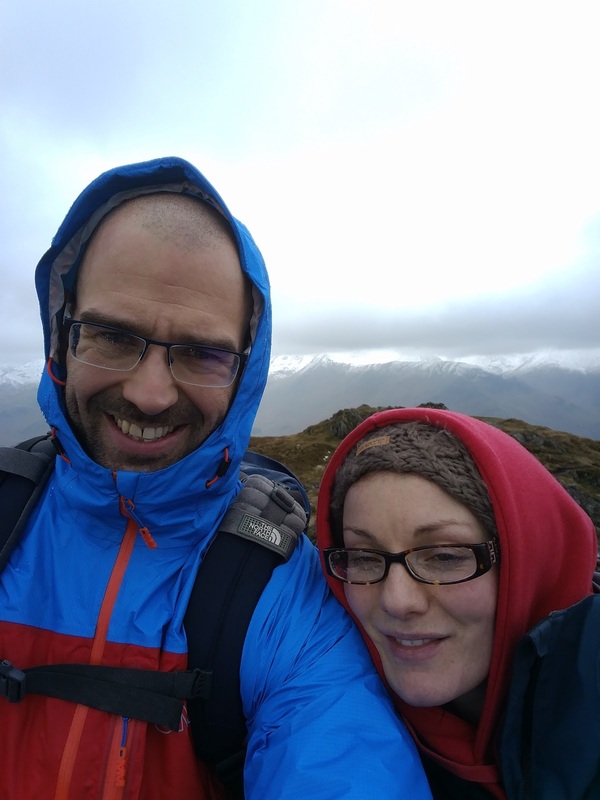 I'll be honest, it's certainly not the best summit picture I've ever taken - but in my defence it was fairly windy (20mph +) and raining - and I had my glasses on for some reason as I've never walked in them. Note to self - they steam up really easy and make walking on lose rock slightly tricky! 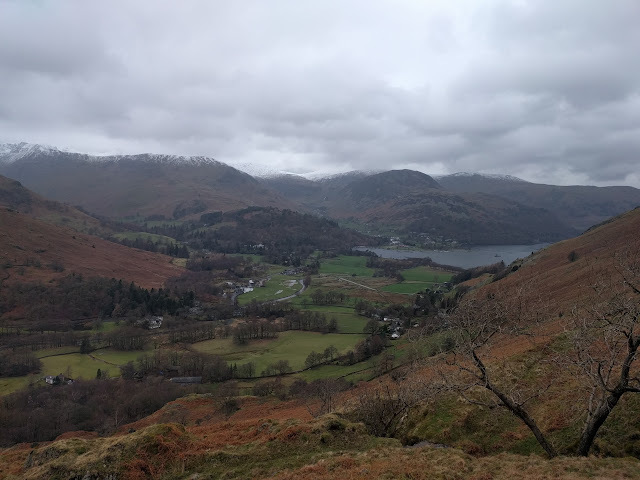 The rest of the walk was just the descent - made slightly tricker in places due to us trying to take it steady and not to aggravate Donna's slipped disc in her back (which thankfully we managed to) and the rain intensifying on the last mile or so to the car. 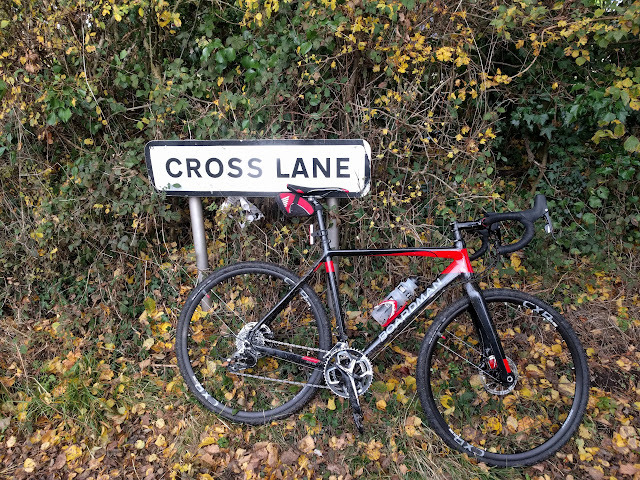 All in all, for an impromptu walk from a main road, it was pretty good. Decent paths and easy navigation even in pretty dismal weather. One thing of note was the addition to the ViewRanger app on my phone which now has the (awesome!) 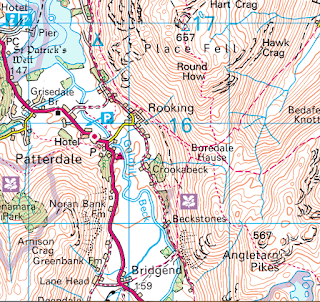 addition of an overlay that, with location enabled, allows you to look "through" your phone and let it mark and highlight the peaks around you; height, name and distance from your current position. A gimmick? possible, but good fun and useful!